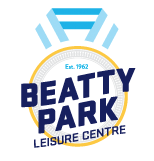 Start taking classes at Beatty Park Leisure Centre and other studios! BodyPump classes are performed to music using free weights-plates, barbells and an aerobic step. Participants choose their weights based on the exercise and their personal goals. Major muscle groups are worked via series of compound and isolation-based exercises including squats, presses, dead lifts. Beatty Park Leisure Centre is equipped with brand new state of the art cardio equipment from some of the world's leading manufacturers. There are no upcoming “Body Pump” classes on this day. Please arrive at least 15x minutes prior to class to secure your spot! Please bring your own mat for yoga classes. Busy pump class but for a good reason! Elaine(?) was very motivating. Loved the class. A huge space and lots of options for ability levels.